This utility's name is probably all you need, though if you're like me then you'll be a bit disappointed, since all this really does is confirm your router's IP address on the Internet and your phone's local address on your network. 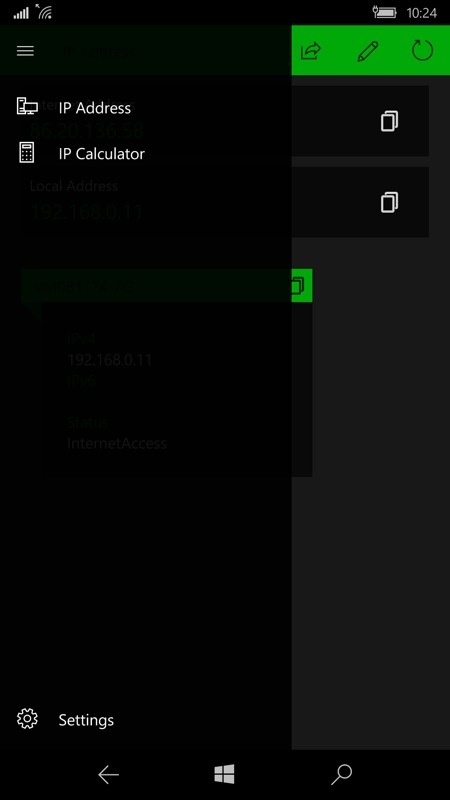 I'd been hoping for a scan of other connected devices on the router, of some kind of ping or trace tool. Oh well. At least it's only 79p at the moment, so there's not much to lose. You do get an IP calculator too, though I'm not techie enough to knw what the heck this might be used for! 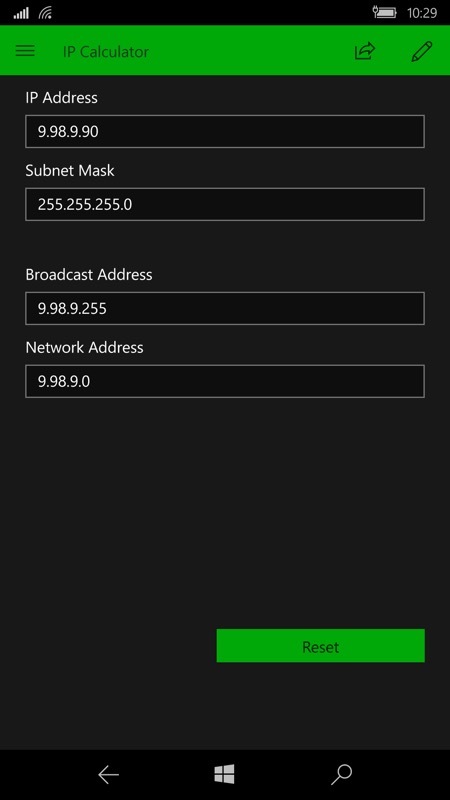 IP Network Scanner PRO offers you advanced options to scan your local and internet IP addresses in the most convenient way. 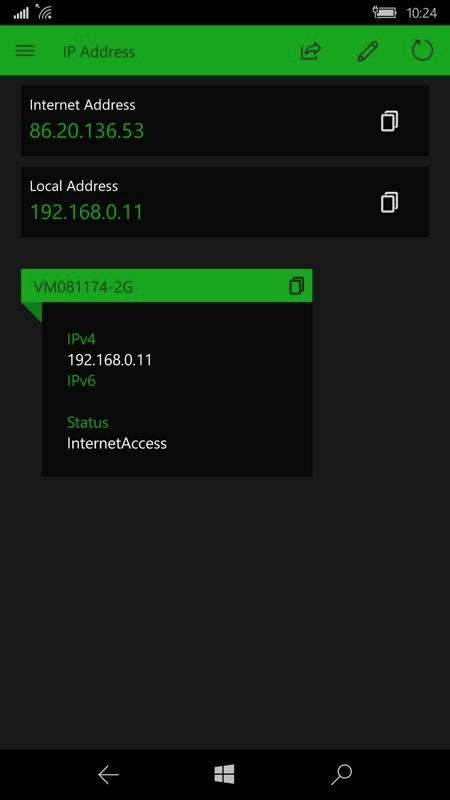 Using this utility, you can get any IP information and all about your network connections. Moreover, there is a built-in IP Calculator to get any network data easily. 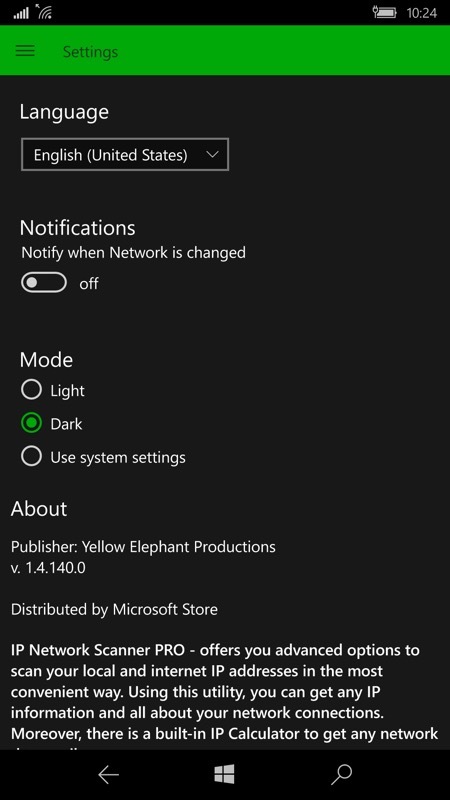 The main display confirms your current IP address on the net, plus checks that you have full Internet access, presumably by pinging something known on the back end; (right) the minimalist hamburger menu, I'd like to see more functions here. Good to see the choice of themes, though, and it's all very stylish in black and green; (right) the IP calculator - if only I knew what to put in here and what it's used for!